But patrons of the 14&U market can taste the chef’s culinary genius sooner than that!! 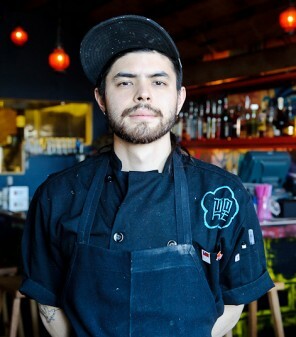 Stop by the chef demo table on July 13 to meet Erik Bruner-Yang and learn more about his stellar Toki Underground, maybe even get a sneak peek (or taste, rather) of what he might be cooking up for Maketto. He’ll be preparing something special with ingredients from our market, and offering samples to passersby. Mark your calendar! This entry was posted on July 13, 2013 by Ibtisam Vincent.